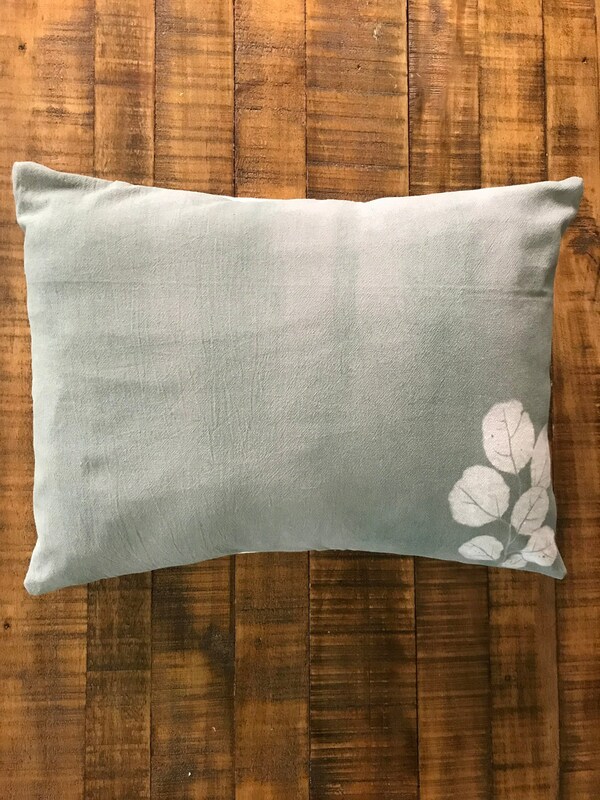 This decorative throw pillow cover is a bold and soft sage color with the imprint of a leaf on it. 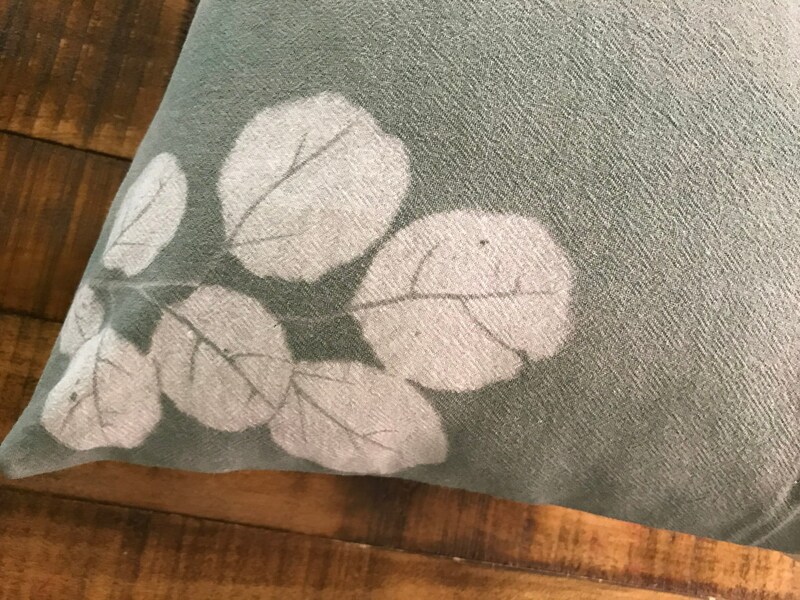 The dye job on the fabric has a very rustic feel to it. 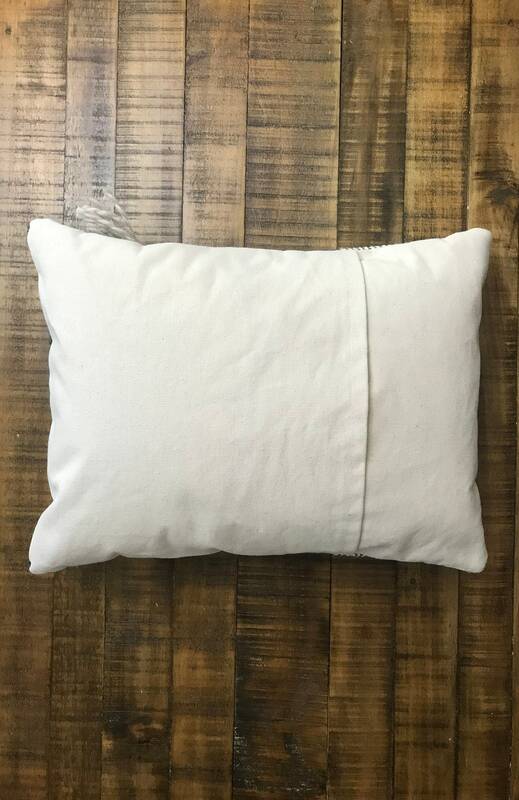 It has a natural colored duck cloth in the back. FREE SHIPPING! Sorry, no international shipping at this time. United States only.